Crystal Shores - approx. 0.4 miles west of Hwy. 59 in Gulf Shores. This complex has a total of 88 units. 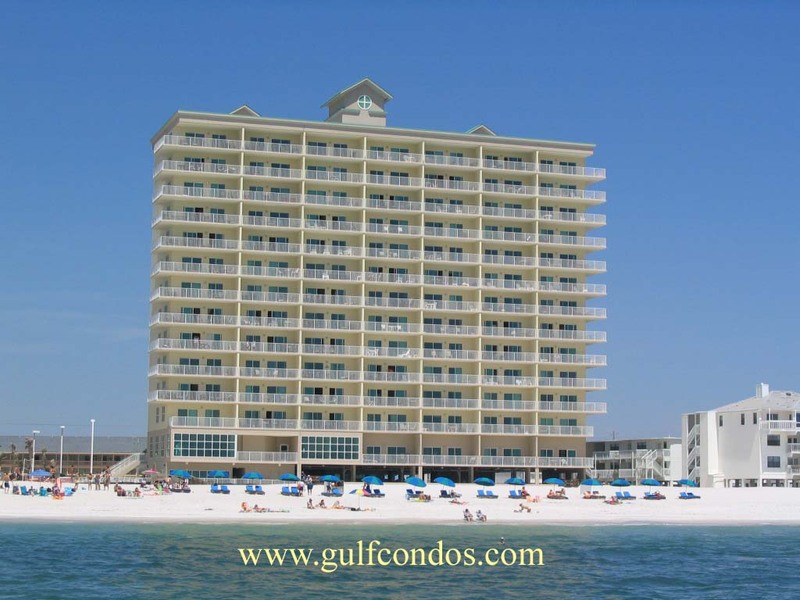 All units are 2 bedroom / 2 bath with great views of the Gulf of Mexico. Each unit offers approx. 1029 sq.ft. of living space. All units feature a large terrace - corner units have a wrap around balcony, interior units have straight balconies. Each unit has high ceilings, raised 6 panel interior doors, crown molding, tile flooring, access to balconies from living room and master bedroom, washer/dryers, pre-wiring for cable and telephone, fire prevention system. The kitchens are loaded with great features including; custom cabinetry, granite countertops, ceramic tile floors, side by side refrigertor/freezers, electric ranges(conventional ovens with radiant cooktops), built in microwaves, garbage disposals, and dishwashers. Complex Amenitites: indoor/outdoor heated pool with a whirlpool waterfall feature, a gazebo and boardwalk to the beach, exercise room, game rooom, sauna, and sun terrace.